From ride sharing to connected vehicles, the technology-led transformation of the urban mobility has the potential to deliver a revolutionary impact to tackle challenges ranging from rising congestion to parking difficulties, from increased demand for public transit to long commutes. With more than half of the world’s population residing in urban areas presently, the urban population is to increase to 68 percent of the total population of the world by 2050. Urbanization coupled with the overall increase in world’s population will add another 2.5 billion people to urban areas by 2050, with close to 90 percent of this increase taking place in Asia and Africa, according to United Nations dataset launched back in May 2018. Now with this pace of urbanization, many countries will face challenges in meeting the needs of their growing urban populations, particularly the complexity of urban mobility. If the current situation prevails urban congestion will gridlock cities (a form of traffic congestion), increase greenhouse gas emissions and energy consumption, directly affecting the environment. However, information and communications technologies are emerging as a game changer to alter the face of urban transport. The urban mobility is at a tipping point with the increased availability of technology. From ride sharing to connected vehicles, the technology-driven disruption of the urban mobility has a potential to deliver a revolutionary impact to tackle challenges ranging from rising congestion to parking difficulties, from increased demand for public transit to long commutes and bring more affordable and efficient transport options to everyone. Big Data, the most contemplated element of the connected transportation system has revolutionized the transportation sector with enhanced operational efficiency, improved end-to-end customer experiences, and management of the transportation systems. With rapid digitalization, the volume of data and information shared and retrieved from multiple sources has increased dramatically. Big data is being used for better, real-time traffic management by providing intelligent and real-time information. 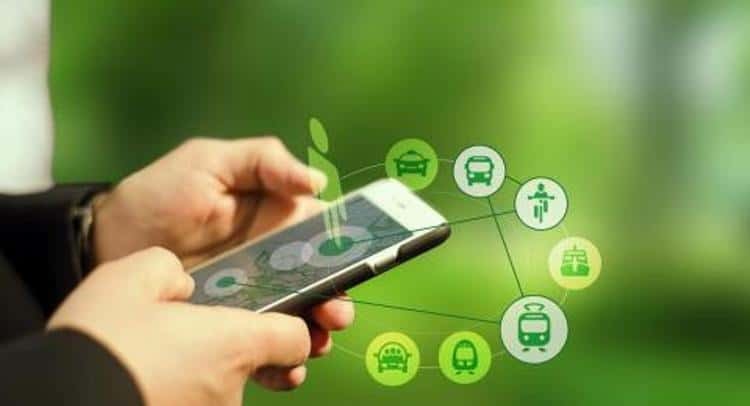 The emergence of Mobility as a Service (MaaS), an alternative to private car ownership that integrates various forms of transport services from different providers into a single mobility service, has dramatically shifted the trajectory of transportation towards shared mobility. It is widely being recognized as a disruptive innovation to manage travel needs of urban travelers that further help to reduce congestion and constraints in transport capacity. Shared Mobility, an innovative transportation strategy that allows users to access and share transportation resources on an ‘as-needed’ basis, is increasingly becoming common across many cities. Shared mobility includes car sharing, personal vehicle sharing, bike sharing, scooter sharing, shuttle services, ridesharing, and on-demand ride services. On-demand car services like Uber, Avego to share rides with strangers, peer-to-peer car sharing services like RelayRides or Getaround, Moovel, Zipcar, Lyft etc. are bringing a transformative effect on the urban mobility landscape. These sharing services provide urban travelers with innovative mobility, public transportation, and goods delivery strategies who don’t own a private vehicle. The IoT is increasingly becoming valuable and is emerging as a promising technology to deliver on a vision of smart mobility. According to a Gartner forecast report published in 2017, the IoT connected things will reach 20.4 billion by 2020. A majority of the ICT technologies such as high-speed internet connectivity, power sensors, cloud infrastructure etc. employed in urban mobility, leverage IoT solutions. IoT application areas for urban mobility include fleet management, smart parking, smart toll collection, transport logistics and much more. 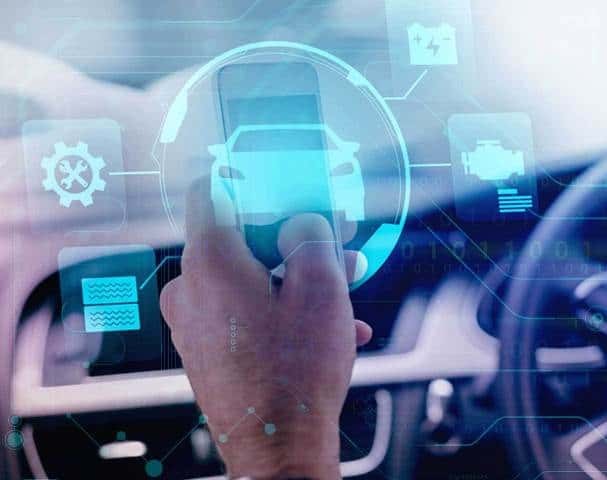 The rapid urbanization and increasing demand for ICT services have given birth to the concept of autonomous and connected vehicles. The AV/CV intend to increase transport accessibility while reducing crashes, energy consumption, pollution, and congestion. Autonomous or ‘self-driving’ vehicles are defined as the vehicles that are capable of sensing its environment and navigating without human input to control the steering, acceleration, and braking. Autonomous vehicles offer numerous benefits including reduced mobility and infrastructure costs, increased safety, increased mobility, increased customer satisfaction, and reduced crime. Connected vehicles are vehicles with internet access or wireless LANs to communicate with the driver, other cars on the road (vehicle-to-vehicle [V2V]), roadside infrastructure (vehicle-to-infrastructure [V2I]), ‘Cloud’ [V2C], Vehicle to Pedestrian (V2P) and Vehicle to Everything (V2X). Despite a number of advantages, connected vehicles also pose challenges and drawbacks. A major issue with the connected cars is hackability. Since a large volume of information is accessed and shared, there can be issues with security, privacy, and data analytics which can have fatal consequences. A new mode of faster and cheaper transport is that moves freight and people quickly, safely, on-demand and direct from origin to destination. Adding to the existing forms of transportation it will integrate seamlessly with the transport ecosystem. Proposed by the Tesla and SpaceX founder Elon Musk, the first ambitious Hyperloop would connect Los Angeles to San Francisco in just 35 minutes. Virgin Hyperloop One, a privately-held company is also one of the contenders, out to create a commercial Hyperloop to expand possibilities and eliminate the barriers of distance and time. Lyft – Available in the U.S, this transit app lets you request a car with the tap of a button. The Lyft driver will reach the requested location within a few minutes. Lyft also provides a first-of-its-kind USD 1 million liability insurance. Uber, a ridesharing app for fast, reliable rides in minutes – day or night. Uber is available in more than 630 cities worldwide. Grab provides a safe and reliable ride in minutes with Grab transportation booking service. This application is available across 7 South-East Asian countries namely Malaysia, Singapore, Indonesia, Thailand, Vietnam, Philippines, and Myanmar. Citymapper, an ultimate transit app combines all transport modes in your city to find the fastest route – bus, subway, train, ferry, cab (Uber, Lyft, taxi), car share, bike share and walk. It is operational across selected cities in the U.S, Australia, Canada, Asia, Europe and Latin America. OLA, the most popular cab booking service in India. Operation in more than 100 cities in India, it offers the easiest and fastest way to book a ride. Easy Way Public Transport provides a full list of current public transport routes with route scheme, schedule or interval, service time and travel cost. It provides services in selected cities of Bulgaria, Croatia, Kazakhstan (Astana), Moldova, Russia (51 major cities), Serbia and Ukraine (56 cities). Moovit guides more than 150 million users in over 2200 cities throughout the world. It provides updated bus time and train time, transit maps, and, where available, real-time line arrivals based on GPS devices onboard buses, subways, and trains. However, technological innovation does not guarantee complete sustainability. If it isn’t directed towards the right technology trajectory supported by enabling policy environment, then it would possibly worsen the existing challenges. Governments, all over the world need to develop the right policies and framework to reap the real benefits of the disruptive technologies and help local, regional and national authorities in achieving their goals for sustainable urban mobility. Urban mobility is one of the toughest challenges and will be more challenging with rapid population growth in the near future. Mobility should not only be a matter of developing transport infrastructure and services. It has to be placed in a systemic context including city planning as a whole, to overcome the social, economic, political, physical and environmental constraints of movement. To sum up, while technology registers high on potential with regard to the urban mobility, it still needs strategies to leapfrog development. Previous article The future will be dockless: could a city really run on ‘floating transport’?